A wonderful, easy and quick depression self help treatment is to yawn. 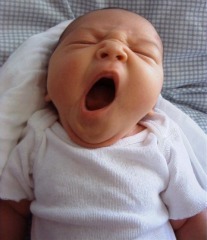 Although this is a new concept, it is hardly surprising, giving he effects that we all personally feel when yawning. Yawning calms the mind and the body. It’s a natural reaction for our body to try to stay alert, yet relaxed. It is a great depression self help treatment, because it interrupts our physiological and mental activities for just a moment. Think about it. If we are experiencing symptoms of depression such as feeling down, sad, or angry, and we spin through negative self talk. Our blood pressure changes, our guts may churn a bit, we may experience some tension in the chest, our shoulder muscles may tighten. A good yawn, while stretching your arms interrupts all of those depression induced mechanisms. It can be just the right interruption, for your mindfulness to kick in, and you can think about some tools you can use to combat the depression spin. The secret lies in yawning purposely rather than passive yawning. Too many times we’ve been taught that yawning is rude and shows lack of professionalism and alertness. But yawning can be a great depression help tool. So find different ways to get away with it. Go somewhere private to yawn if you have to. Read this except from the article “Yawn” from Andrew Newburg, director of University of Pennsylvania’s Center for Spirituality and the Mind: Several recent brain-scan studies have shown that yawning evokes a unique neural activity in the areas of the brain that are directly involved in generating social awareness and creating feelings of empathy. One of those areas is the precuneus, a tiny structure hidden within the folds of the parietal lobe. According to researchers at the Institute of Neurology in London, the precuneus appears to play a central role in consciousness, self-reflection, and memory retrieval. The precuneus is also stimulated by yogic breathing, which helps explain why different forms of meditation contribute to an increased sense of self-awareness. It is also one of the areas hardest hit by age-related diseases and attention deficit problems, so it’s possible that deliberate yawning may actually strengthen this important part of the brain. For these reasons I believe that yawning should be integrated into exercise and stress reduction programs, cognitive and memory enhancement training, psychotherapy, and contemplative spiritual practice. And, because the precuneus has recently been associated with the mirror-neuron system in the brain (which allows us to resonate to the feelings and behaviors of others), yawning may even help us to enhance social awareness, compassion, and effective communication with others. Numerous neurochemicals are involved in the yawning experience, including dopamine, which activates oxytocin production in your hypothalamus and hippocampus, areas essential for memory recall, voluntary control, and temperature regulation. These neurotransmitters regulate pleasure, sensuality, and relationship bonding between individuals, so if you want to enhance your intimacy and stay together, then yawn together. Other neurochemicals and molecules involved with yawning include acetylcholine, nitric oxide, glutamate, GABA, serotonin, ACTH, MSH, sexual hormones, and opium derivate peptides. In fact, it’s hard to find another activity that positively influences so many functions of the brain. My advice is simple. Yawn as many times a day as possible: when you wake up, when you’re confronting a difficult problem at work, when you prepare to go to sleep, and whenever you feel anger, anxiety, or stress. Yawn before giving an important talk, yawn before you take a test, and yawn while you meditate or pray because it will intensify your spiritual experience. So give it a try as a depression self help treatment. Yawning brings about a certain satisfaction that other activities rarely provide our bodies. And there you have it. A great depression self help treatment tool for your repertoire. Live well, healthy and enjoy your wonderful life.